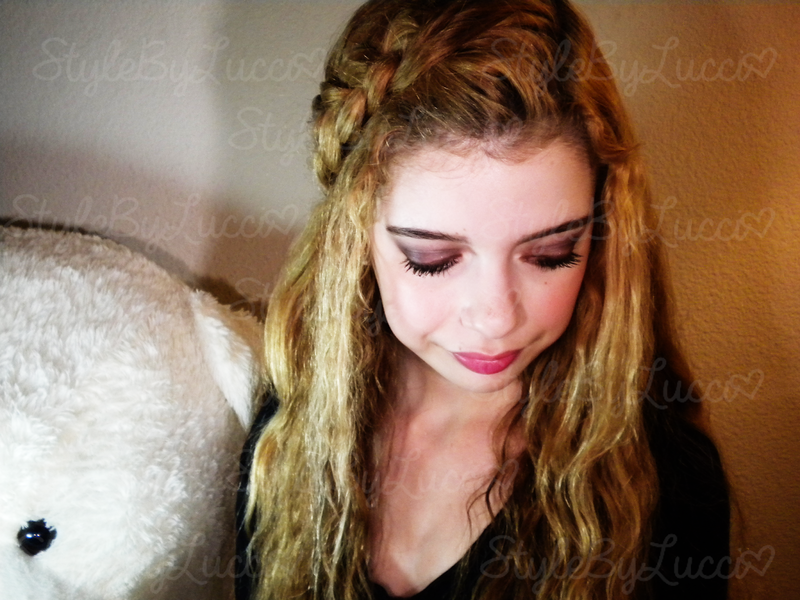 I did a plum, navy, and brown eye look with shimmering rose cheeks and pretty pink lipstick. 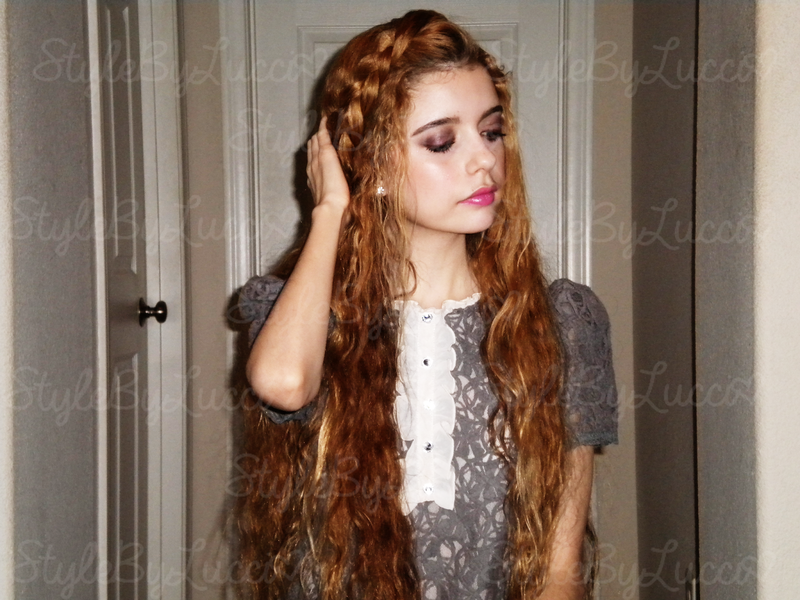 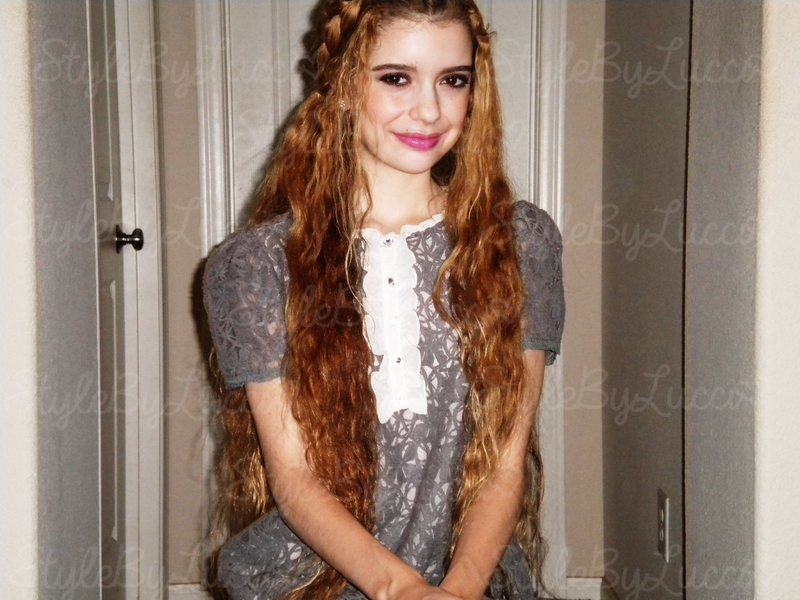 For my hair, I parted and styled it into a loose Dutch braid headband, keeping the rest long and wavy. 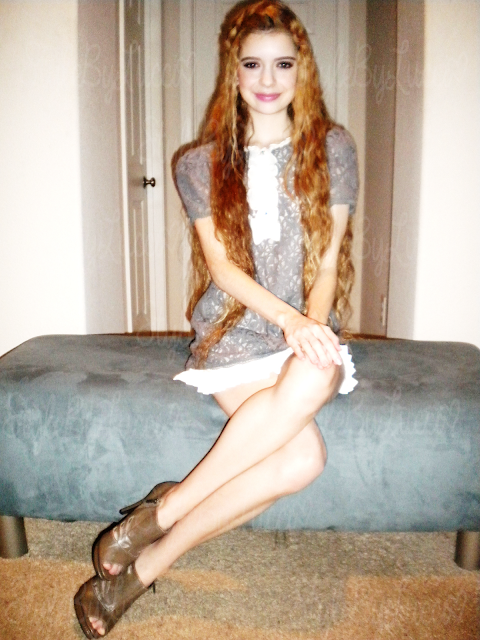 I'm wearing a gray puff-sleeved lace dress from Forever 21, gem stud earrings by Guess, and taupe cut-out heeled booties by Dollhouse.